Boat Description Tundra 21 SC. Our largest single console high-performance model is also the most technologically advanced Deep V aluminum boat available to serious big water enthusiasts. 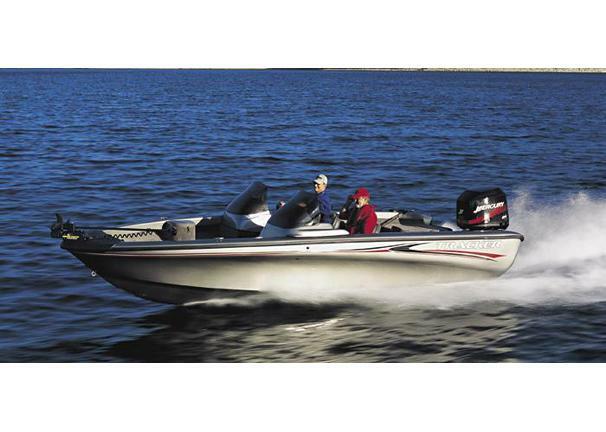 Its wide, spacious layout is for the technology-savvy angler who appreciates style, yet values the practical. Exclusive aerospace technology forms its Deep V aluminum hull, delivering stunning the best big water ride in the business, plus good looks and performancepreviously available only in fiberglass. On the practical side, aluminum is lighter, more durable and easier to repair. Package includes a Mercury XL Pro Series outboard, Lowrance X47 fish finder, Minn Kota 24V foot-controlled trolling motor, 46-gal aft livewell, bow and aft baitwells plus custom trailer with EZ lube hubs, GalvaShield protection and swing-away tongue.